On August 4, 2017, a 18 years old Christian girl Ayesha d/o Zulfqar approached CLAAS office for free legal assistance. 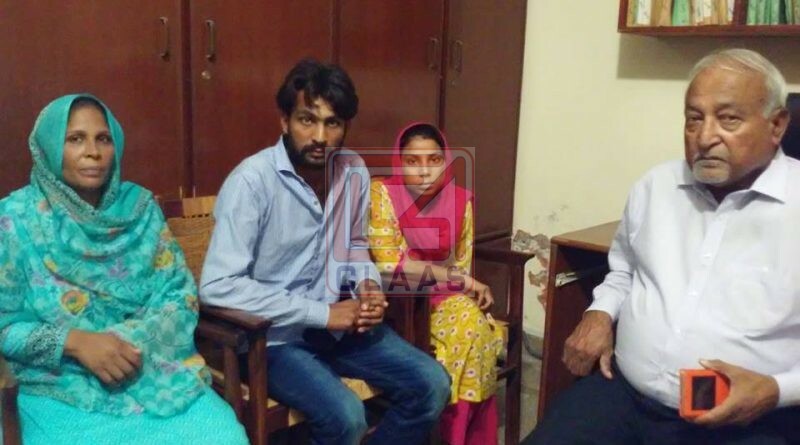 She disclosed that she was sexually abused by her real brother in-law Shahid Abid (husband of her elder sister) at the age about 11 years in the year of 2011. Shahid Abid raped her and resultantly she got pregnant. When she disclosed about the pregnancy to Shahid Abid he threatened her not to open mouth before her parents otherwise she would be killed. Subsequently Shahid Abid took her at some unknown palace where she did birth a baby girl. Ayesha many times tried to run away from the clutches of Shahid Abid but failed. Shahid Abid used to give severe beating to her surprisingly the real sister of Saima was also supporting her husband Shahid Abid in this criminal act. On June 17, 2017 Ayesha succeeded to get rid from the confinement of Shahid Abid and reached at her parents. Shahid Abid to save his skin and by showing Ayesha as his wife registered a false case against Ayesha’s parents. After registration of this false FIR police arrested Ayesha’s aunt and two brothers and kept them in police station. CLAAS on August 05, 2017 filed a harassment petition on behalf of Ayesha against the police in the court of Sessions Judge Lahore. Moreover CLAAS also filed an application for recording of statement of Ayesha under section 164 Cr.pc before the Judicial Magistrate District Courts Lahore. Due to the tireless efforts of CLAAS lawyer both the petition were successfully disposed off in favor of Ayesha. CLAAS also filed a petition for registration of FIR against Shahid Abid on behalf of Ayesha upon which the learned Sessions Judge summoned the report from concerned police station for August 12, 2017. 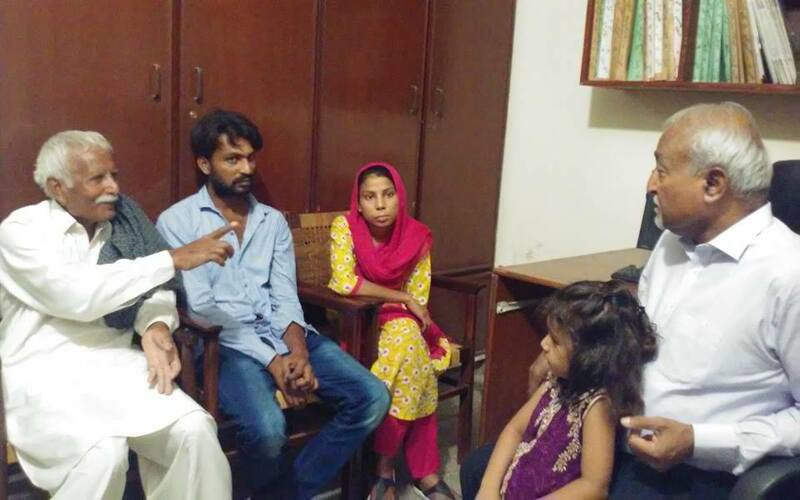 The matter become successful for the CLAAS, when the CLAAS team headed by Mr. Joseph Francis National Director, Mr. Tahir Bashir Advocate legal advisor, Mr. Sohail Habel visited the police station where the three persons of Ayesha’s family were arrested. CLAAS team along with all legal documents met with Mr. Sayeed Iqbal Hussain Shah Deputy Superintendent of Police Lahore and gave the real facts to Mr. Shah upon which the DSP ordered to the investigation officer (IO) to release the arrested three persons forthwith. At present the arrested persons living happily in their house whereas CLAAS has provided shelter to Ayesha for her counseling.